Frustrated by the requirements for testing and distributing your iOS app? You&#8217;re not alone. This concise book takes you step by step through the maze of certification and provisioning processes that have to happen before, during, and after development. You&#8217;ll learn what&#8217;s required to sign certificates, test your app on iOS devices, and release the finished product to the App Store. 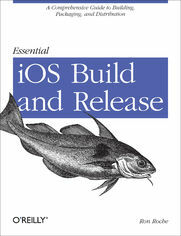 Whether you&#8217;re a developer looking to spend more time coding and less time figuring out how to install your application, or a release engineer responsible for producing reliable builds, this guide will help you successfully navigate the build and release processes for your iOS app.